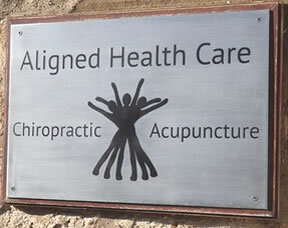 Aligned Healthcare offer Chiropractic treatment and acupuncture for all types of back pain, neck pain, joint pain and muscle pain. We want to keep you updated on the latest news from Aligned Healthcare Chiropractic Clinic and any other advice and tips which we think will be of interest. Chiropractic can help you and your family to not only feel your best but also to achieve a real feeling of wellbeing. Wellbeing is a state of optimal physical, social and mental health. You can enaure body the best chance of achieving this through regular chiropractic care. Be the best you can be! Keep up with the latest advice and tips by reading the news from Aligned Healthcare Chiropractic Clinic – check back regularly! Do you suffer from hunched back & ‘text neck’? Chiropractic Treatment For Shoulder Pain Shoulder pain is a very common complaint in our chiropractic practice. It will affect almost half of us at some point in our lives and the causes can be one of many. Chiropractic treatment can help in the treatment whatever the cause. New Year, New Exercise Regime? Thinking about a skiing holiday? Think about your spine.